Super clean Ikepod Seaslug watch with GMT function. Divers watch with rotating bezel and rubber strap. This is one of the earliest Ikepod SeaSlugs made by Marc Newson and should date to 1995, the first year the Seaslug was launched. 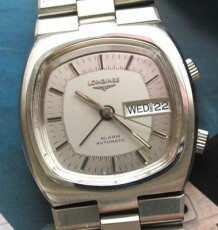 You will notice that the logo on the dial simply contains the word POD, not Ikepod, a sign of the early models. 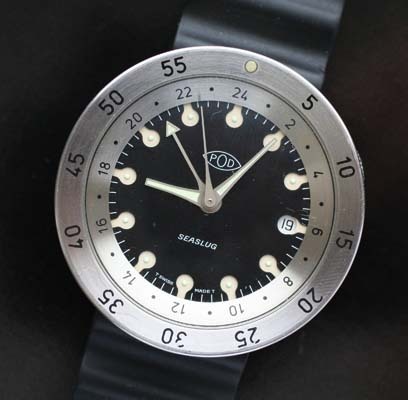 The SeaSlug is a steel diving watch water resistant to a depth of 100 meters. An interesting feature of the watch is the GMT second timezone indicator. This 24 hour hand is independently adjustable by the winding crown. The Seaslug is equipped with an ETA 2893-2 certified chronometer movement and was limited to 9999 units of each dial colour worldwide.There were silver, black and grey dial variations available. 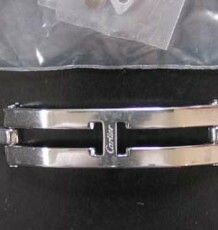 This watch is supplied on the original Ikepod rubber strap. 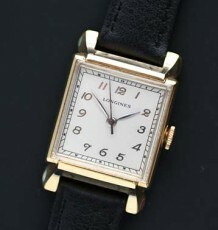 I have taken photos of both sides of this beautiful watch, examine the results of the craftsmanship required to produce this solid and esthetically pleasing timepiece. 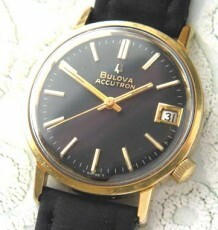 Overall the watch is in excellent condition, with only a slight mark on the domed crystal near the date indicator. This is barely noticeable and does not warrant replacement and is reflected in the price. The watch measures a surprising 39 mm wide, only 1 mm less than a Rolex Submariner.